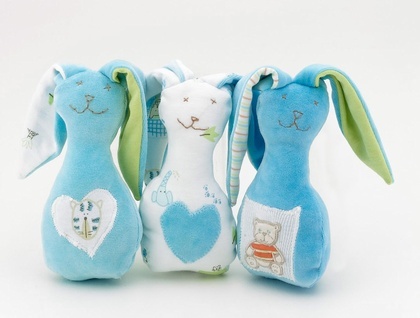 Each bunny is a one of a kind handmade bunny, very occasionally I have fraternal twins ( not quite identical ). 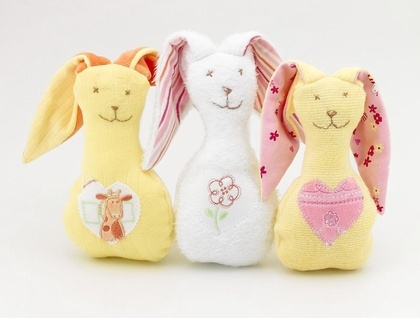 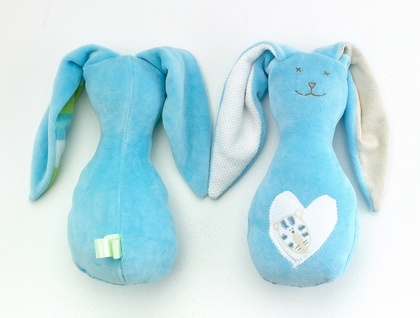 Bunnies are available in sunshine yellow velour, teal blue velour, pink knit fabric, white pique knit fabric, there are girl bunnies, boy bunnies and gender neutral bunnies. 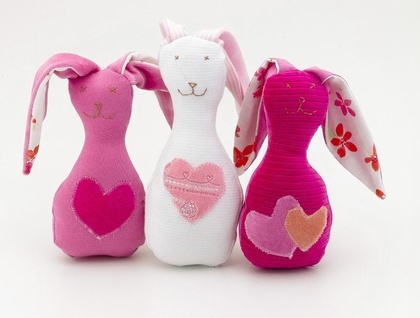 Please let me know your colour preference when you send through your shipping details.